The Inland Coalition for Immigrant Justice, is composed of 35 organizations that serve the immigrant community in the Inland Empire. The IC4IJ currently focuses on advocacy, changing the narrative, and capacity building. Our coalition engages in policy advocacy, community organizing and education, and rapid response to ICE and border patrol operations. We are collectively changing the narrative of the one million immigrants who live, thrive, and are a foundational part of the fabric of the IE. We are building organizational capacity through leadership development, cooperation, support networks, and shared regional strategies. Lastly, the IC4IJ provides resources such as training, technical support, and grants to coalition partners to further support their efforts and mission in the region. 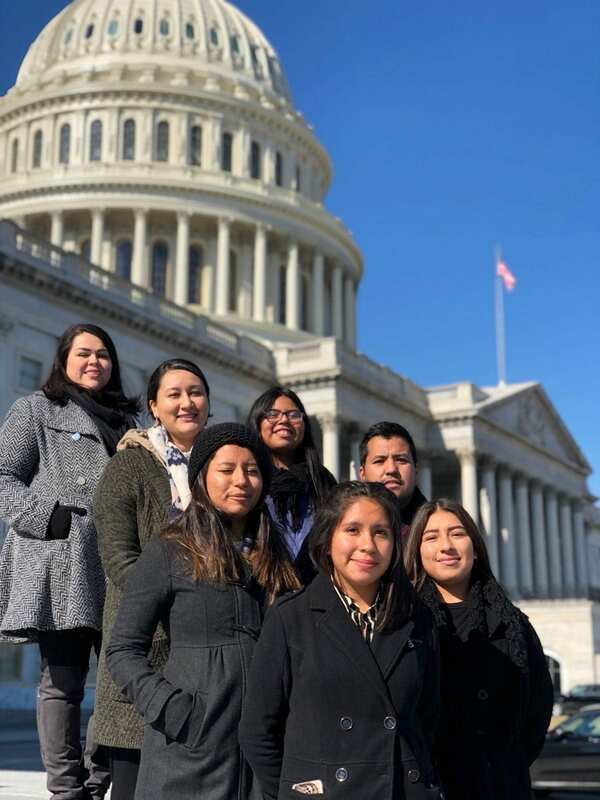 The Inland Coalition for Immigrant Justice is dedicated to convening organizations to collectively advocate and work to improve the lives of immigrant communities while working toward a just solution to the immigration system. The Inland Coalition for Immigrant Justice (IC4IJ) engages in advocacy protecting immigrant rights at the local, state and national level. Our policy advocacy is shaped by community members directly impacted within our membership. Our goal is to insure our immigrant community has the right to live and thrive in the Inland Empire. In 2008, Roman Catholic Auxiliary Bishop Rutilio del Riego convened Immigrant leaders in the Inland Empire Region. His call was to unify leaders in the region to begin organizing collectively with a unified message of justice for immigrants. These meetings lead to the creation of the Justice for Immigrants Coalition of Inland Southern California (JFIC). Near the end of 2015 we began a process to assess our progress, identify key opportunities and threats and to identify our capacity needs through a process of strategic planning. We also adopted a new name -- Inland Coalition for Immigrant Justice to better reflect our regional and unique identify. Over the years we have been influential in advocating for the rights of all immigrants. Major victories include advocating for the passage of the California Trust Act (AB 4), which limits cooperation between Immigration and Customs Enforcement (ICE) and local law enforcement. Supporting immigrant youth in their fight for DACA, an executive action that protects immigrant youth from deportation. We supported the statewide push for Driver Licenses for All (AB 60), which has provided over 1 million drivers licenses to undocumented Californians. More recently, we successfully advocated for the passage of a series of laws that would protect immigrants under the new federal administration, including the California Values Act (Sb 54). We have continued to grow in strength and depth. We have evolved into a dynamic, diverse, and prominent coalition--engine for justice and change in the Inland Region and California. Currently, over 40 grassroots, community, faith-based, legal service, and workers rights organizations are part of the Coalition. IC4IJ has been recognized by the local press for positive contributions to the community. Here are some of the campaigns that IC4IJ is proudly leading! Message us today to get involved! It is estimated that there are 300,000 undocumented individuals living in San Bernardino and Riverside Counties. With those living in San Bernardino County with only having access to restricted Medi-Cal (Emergency Medical). In 47 other counties in California, non-emergency care services are provided for adult undocumented immigrants, according to the report titled “Coverage of Undocumented Immigrants.” San Bernardino County is 1 out 11 counties in California that does not have a county safety net program that covers undocumented adults. There are various existing state programs that provide undocumented adults with significant coverage. In other counties the coverage is available for services like prenatal care, breast and cervical cancer screenings and treatment, HIV/AIDS related treatments, emergency situations, STD screenings and treatment and family planning services. Health4All Act removes an eligibility barrier to full-scope Medi-Cal for low-income undocumented adults. SB 974 builds on the gains California has made and takes the Golden State one step closer to universal coverage. Ensuring that everyone has access to health care, regardless of their immigration status. The rural community of Adelanto, California, is home to an immigration detention facility, a county jail, a state prison, and a neighboring federal prison that together hold an overwhelming 9,965 people—almost one third of the city’s total population. With the unrealistic belief that prison building would revitalize the community, Adelanto struck a lousy deal that failed to make the city live up to its slogan of “Unlimited Possibilities.” Instead, the community suffers from a dearth of jobs, persistent low median income, an unhealthy prioritization of jails over schools, political scandal, and a populace that has come to view the local prison economy as a blight and a drain. To make matters worse, while the city continues to teeter on the edge of bankruptcy, large private prison corporations rake in millions of dollars in revenue from federal contracts secured by Adelanto. On July 1, 2015, one of the most profitable private prison corporations, The GEO Group (GEO), finished expansion of the Adelanto Detention Facility (ADF), making it the largest adult immigration detention center in the United States with the capacity to imprison 1,940 men and women. The Adelanto Detention Facility currently houses our immigrant community that is currently waiting for their immigration court hearing. While in detention our individuals have suffered from mistreatment, inadequate healthcare, overuse of solitary confinement and even death. There has been 6 deaths since ADF began its operations in 2011. Alex and Wilson Have Been Freed! We will be presenting a resource fair in June. Bring your friends and family!